We all know that excessive heat from the sun can truly damages our skin, and I cannot afford to have a bad skin. I always make sure that I have a reliable sunscreen protection always in my bag. 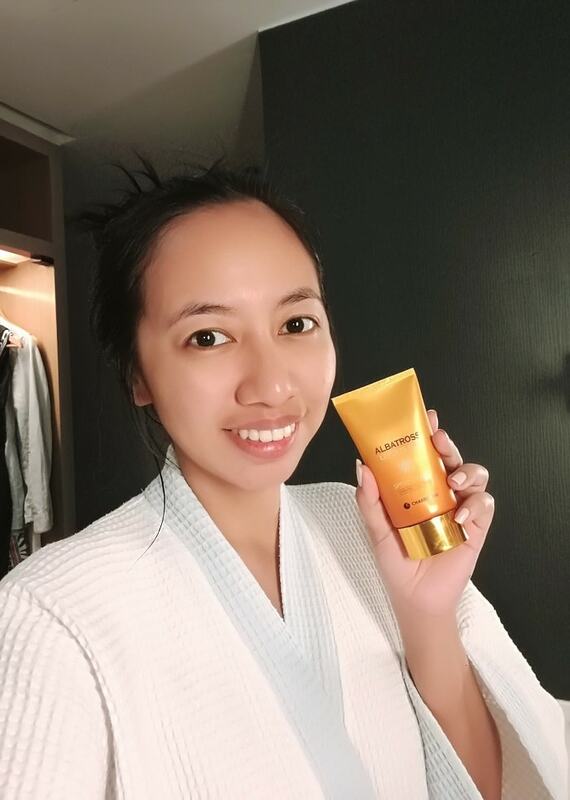 For almost a month now, I’ve been enjoying the glory that I’ve got from using the Charmzone’s Albatross Lesports Sun with SPF50+ / PA+++ which I first tried it when I brought it along with me during my Thailand trip. 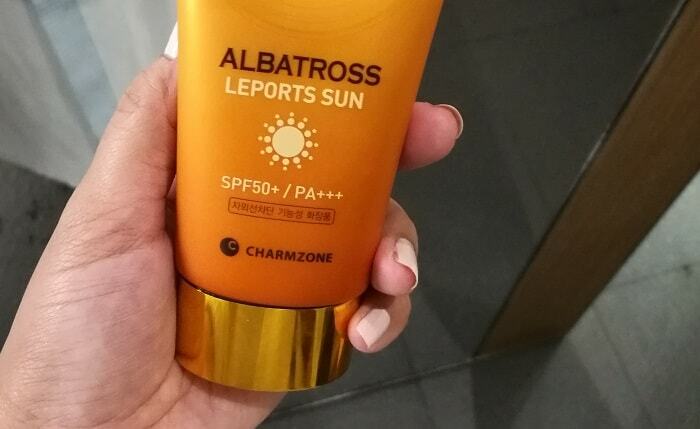 This Charmzone Albatross Lesports Sun SPF 50+ / PA+++ is a light, waterproof sunscreen and is perfect for sportswear. 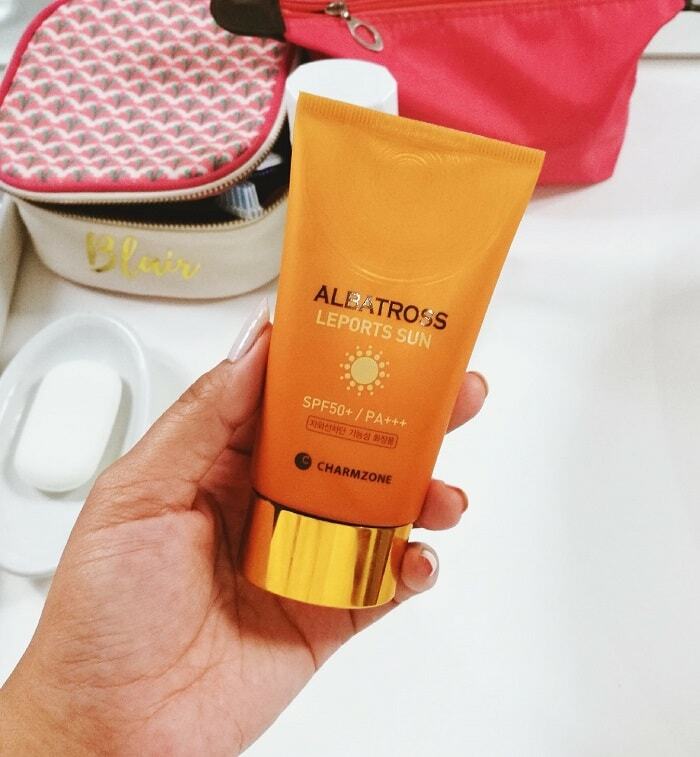 Unlike other sunscreen lotion for face that are sticky, this Charmzone Albatross Lesports feels lighter to my face and neck. I religiously applied this to my face minutes before I leave the house for work, and each time I refresh my face in the office. After my usual face cleaning and toning, I applied this Albatross to my face while I think have a multi-purpose function as a sunscreen protection and a good primer. I like that it can smoothly spread to my skin without leaving any white residues, or oily result. You can also use it as your makeup base primer, just like what I always did for my casual day make-up. No need to worry that your sweat will wipe off the sun protection. It was my perfect match since Thailand was very hot and humid. You can also apply it to your entire body. I like how they packaged it, in a way that it prevents it from spilling. You may order it from Charmzone Philippines at www.charmzoneph.com. This pack cost Php1,200 for 60ml. Made in Korea. But I was so lucky to get this at Php220 during their Korean tradeshow sale almost a month ago. YEY! Plus the Charmzone lady gives me a few sample packs of their other products for me to try, before I decide to buy the full size. Have you tried this Charmzone sunscreen or any Charmzone’s products? Hey, I would love to know your comments below! I never tried this one but looks good quality. I heard Korean products are great for skin care. Is that true? These Korean beauty companies are expert in discovering new products to make our skin better. I am definitely going to try this. We hike, bike and camp alot. Not to mention we own horses and spend a great deal of time outside. A good quality face sunscreen is critical. Sunscreen is a must-have! The rays of sun is a huge factor on faster aging. I have never heard of them before. i would love to get my hands on some though! I need this screensun lotion! I need to use everyday a 50+ screen sun protection lotion so I love this face cream already. And I am so glad that you cand use it as a makeup base primer. Looks like a really great product. I try to make sure my skin is protected from the sun and this looks like a great way to do just that! Any brand of sunscreen is okay, just don't forget to apply it on your whole body.